Grab home this double bed sheet with two pillow covers and double comforter from Swayam and renew your bedroom collection. 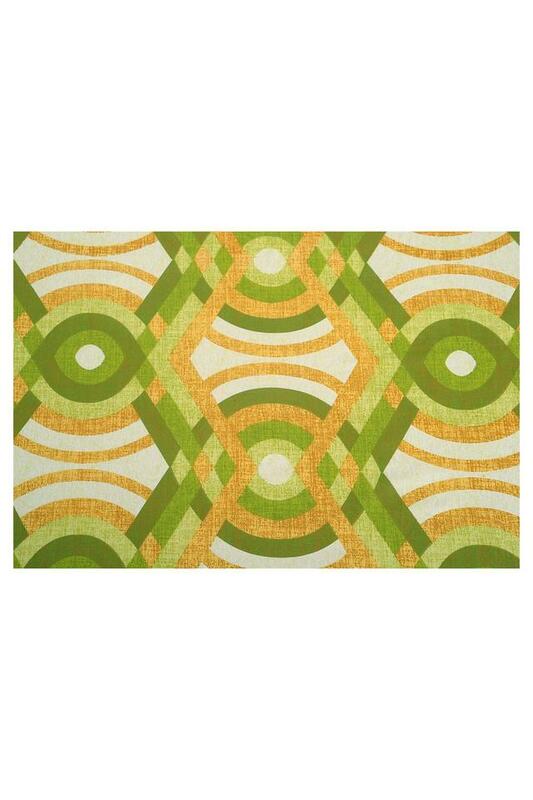 It features an abstract print along with a beautiful style, which adds to its look. In addition, it has been tailored with a cotton fabric that makes it soft to touch. The comforter is characterized by its incredible feather-weight lightness, softness and warmth. 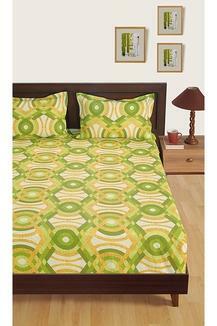 Dimensions - Bed sheet - 228 x 274 cms, Pillow Covers - 45 x 71 cms, Comforter - 228 x 254 cms. 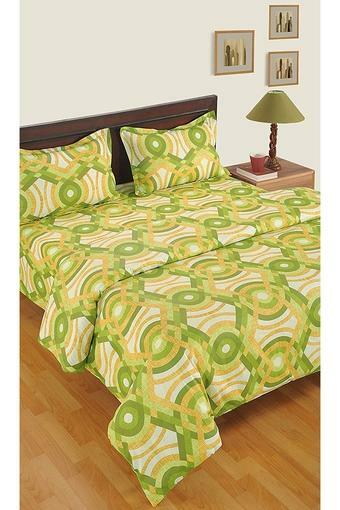 Let your bedroom speak of elegance as you wrap them in this double bed sheet with two pillow covers and double comforter made with human friendly element.